Bad book reviews. 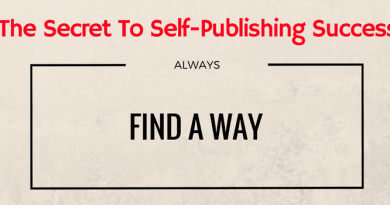 I know exactly how it feels as an author – you hate getting them with a passion. Your blood boils at the reviewer’s failure to mention anything at all about your story in the review, which you nearly died writing, and instead, the sadistic reviewer decides to concentrate their venom totally on the fact that they hated your overuse of sentence fragments, or that you used single quotation marks, instead of double. Bad book reviews often take the same angle – they ignore the story completely. One of my favourite bad book reviews was from a reviewer who complained that my novella was not a full novel, so it was too short. My second favourite was one, who simply asked why other reviewers liked my book, as this particular reviewer hated it. If I had to name my third, it would be the one, who was so totally annoyed that my main character kept changing his name during the book. That he was an undercover espionage agent seemed to have gone over this reviewer’s head completely. These are bad book reviews that are all worth noting, but in the end, ignoring. However, leaving aside these totally negative fruit loop reviewers, who for some reason only known to them, take great pleasure in simply being disagreeable to perhaps grab attention, there is a second layer of very rational and reasonable negative reviewers, whose opinions I not only read very carefully but also very often act upon. These are the reviewers who mention a little, or more often than not, a lot about the story, but then add a reasoned dislike, irritation or criticism. These are the reviews I value like gold because they give me an opportunity to improve my writing. A review such as this has me back to my manuscript in an instant, and checking my overuse of an annoying word, and then, of course, making changes once I notice that the reviewer was 100% correct. Another great negative review I received some years ago, was to the effect that my long prologue was unnecessary, as it could all have all been told slowly, threaded into the story. This particular book now starts at the action. The pity, in this case, is that it is just not possible to personally thank this wonderful negative reviewer. Sometimes, though, valid criticism is not easily accommodated or remedied. One reviewer mentioned that the book they had read had too many incidental characters. At first, I was a bit grumpy about this criticism, as I had intentionally added these characters to certain scenes. However, on reflection and after re-reading my book, I had to agree that although these characters didn’t create immediate confusion, they were a distraction from the story. From a reader’s perspective, they were characters, who they may have thought would be important later in the story, but were, in fact, irrelevant. While I could make a few alterations and edits, this ended up being a lesson learned for my next book. As for the positive and glowing reviews I get, of course, I just love them. Who wouldn’t? But as a writer, I favour the reviews that help me to become, just a better writer. Thank you for pointing out how important it is to suffer through reading those bad reviews in search of the constructive advice that might be gleaned from them. A commitment to addressing issues that serious readers bring up is what can help us be a better writer. It’s painful at times, and unkind remarks are hard to ignore or forget. But it is in the job description. I agree, Derek! I post and link to ALL reviews, regardless of the reviewer’s opinion, when the reviewer has actually read my book. I’ve gotten great ideas from every reviewer who is specific and comments accordingly. Much appreciate their time, for sure! If I’m amused by a DNF comment, I’ll post that, also. Some review books that are certainly not their cup of tea. Not grasping elementary concepts of a genre. Some of their remarks are too frustrating to be taken seriously. But in some cases they resort to diving much deeper into language issues, instead of story issues. Even if you have good reasons not changing your MS (their are valid ones) keep them in mind, learn from them.